Want luxury and convenience in paradise? 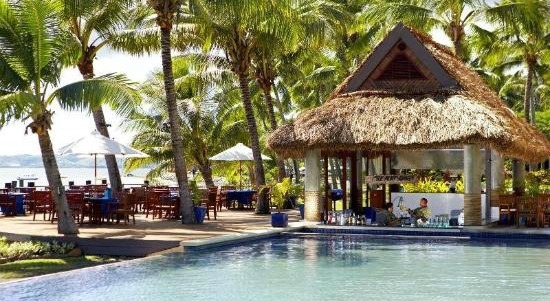 Discover Sheraton Fiji Resort close to everything you'd possibly want including cruises to exotic islands! 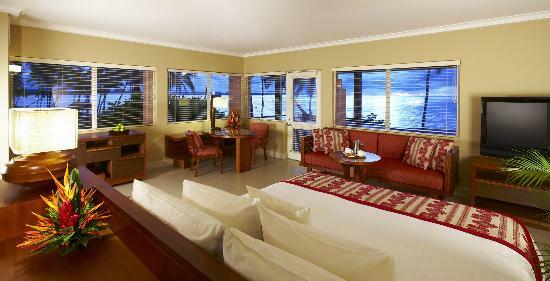 - Who does Sheraton Fiji suit? 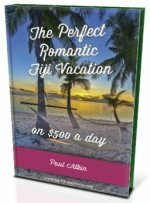 Who does Sheraton Fiji Resort suit? 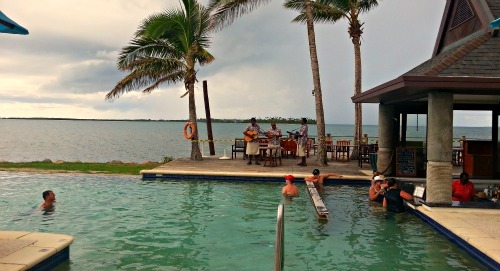 Fiji Sheraton suits those wanting a 5-star convenient getaway with oodles of things to do and close to everything. It doesn't suit those wanting nice beaches, a real Fijian experience, or a secluded out-of-the-way holiday. 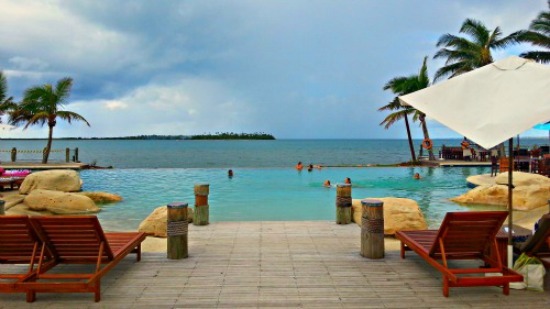 Sheraton Fiji Resort is located on Denarau Island on the west coast of the main island of Viti Levu. Denarau is a private upmarket island connected to the mainland via a short bridge and is just 20 minutes from Nadi International Airport. Once arriving, it's an easy 20-minute taxi ride (FJ$30 for four people) to Sheraton on Denarau Island. As you would expect with Sheraton the 264 rooms are modern, spacious, and luxurious. All rooms have a balcony or terrace, some with ocean views, and all just a couple of minutes walk to the 'beach', I use the term loosely. In-room movies and wifi are available for a fee. When you stay at Fiji Sheraton, you have access to The Westin and Sheraton Villas and all the amenities that come with them. That means a eye-popping 17 restaurants and bars! Suffice to say, enough choice for the fussiest of eaters. Being connected to the mainland, there are numerous off-site activities available. 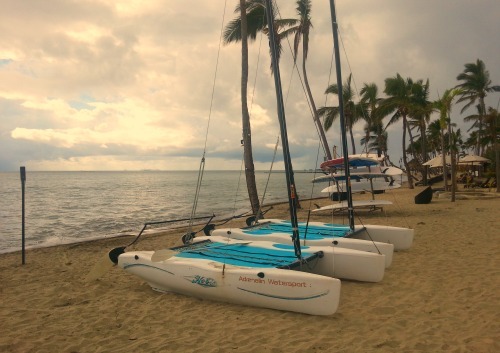 Check out our 5 Things to do around Nadi for a start. That convenient factor kicks in again, with most of Fiji's cruises leaving from Port Denarau on Denarau Island. The port is so close, you could walk there. Visit our hub Cruise Fiji section for more. Sheraton's Lai Lai Kids Club can look after your children all day and even into the night with various fun activities. Babysitting services are also available. Fees apply. This means, you get to have your holiday afterall! Rates vary with numerous offers generally available. Room rates start from around FJ$400 for the basic room. Visit their site at http://deals.sheraton.com for more information.